One of my most favorite holiday memories was going to my friends' homes over the holidays. The home of two of my college friends, twin sisters, always stands out in my memory as particularly special. No matter when we walked in the door, their mom was in the kitchen with her adorable patchwork apron stirring a big pot of pozole on the stove with tamales in the steamer, tortillas in the warmer, and a table surrounded by family and friends. You never left without a full belly and a heart full of laughter and joy. We didn't call these journeys to the homes of our friends and family “Las Posadas” but that's what they were. These trips were us gathering in the night and then coming together with loved ones to share a meal to celebrate the journey of Mary and Joseph looking for a room at the inn in the story of Christ's birth. 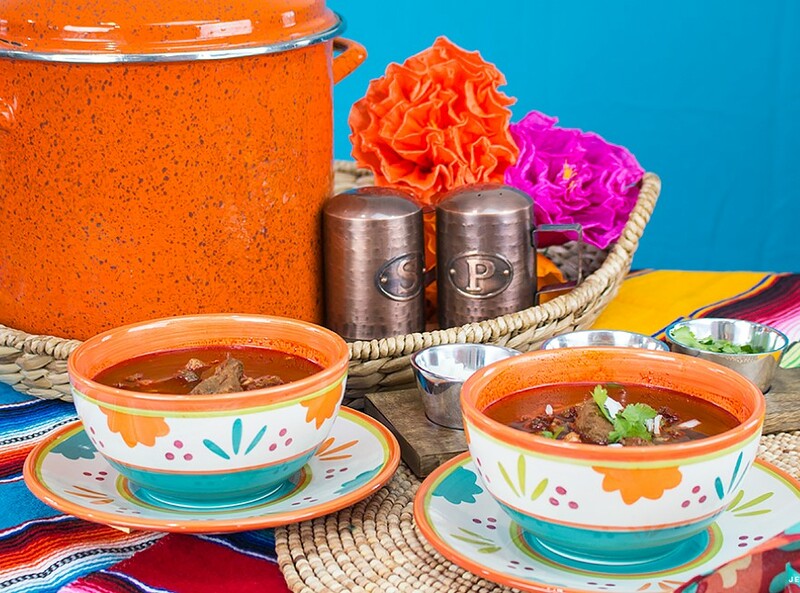 Whether you believe or not, the traditions of Las Posadas can still be observed in your home as you come together with friends and family over a bowl of pozole or tamales. 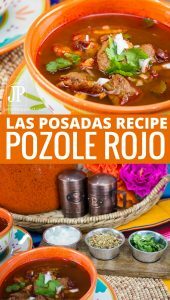 But first, you need a homemade pozole recipe! I'm really excited to be partnering with JCPenney, another family favorite, to share about the Las Posadas holiday tradition. A home feels warm because of the people in it but to make it feel welcoming, that's why we go to JCPenney. Warm woods, copper accents, and gorgeous cookware will make your table feel rich and give your home a comfortable feel, all for a great JCPenney price. Buying on-trend decor for your own home, getting the family decked out in holiday clothes, or shopping for affordable gifts during the holiday season, JCPenney makes #JoyWorthGiving easy. Last Christmas season, we picked up a winter jacket for Matthew for an incredible price at JCPenney, which he wears and gets compliments on even now. JCPenney has become one of my top stops for clothes for the family all year 'round and the holiday deals are #SoWorthIt. And to get ready for our Las Posadas visits, you better believe we're getting some new duds over at JCPenney! We drive and visit our friends for Las Posadas but we also gather in our own home to meet guests. We live in a fairly rural area so we don't get a lot of visitors to our own home during Las Posadas. But that doesn't mean our experience is any less special. 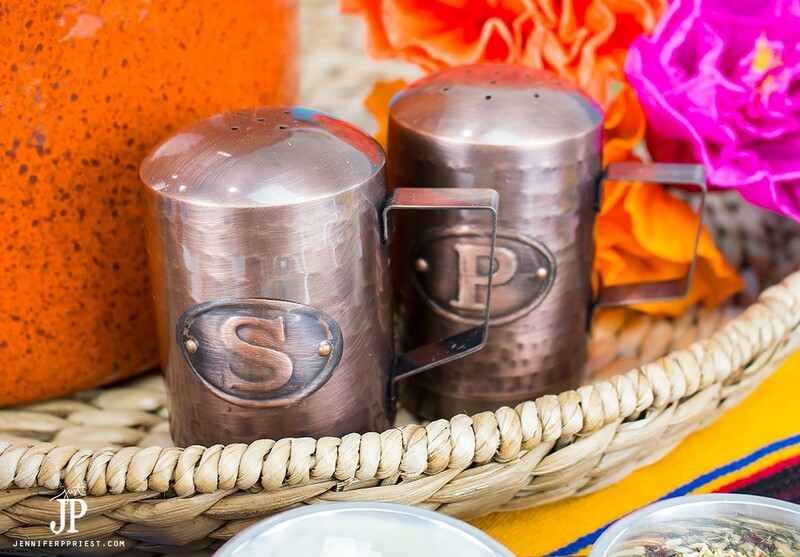 We spruced up our holiday table with a warm copper salt and pepper shaker set and a wood serving platter with condiment cups, all from JCPenney. These neutral on-trend colors complimented the dishes I picked up from JCPenney earlier this fall too! This pozole recipe yields enough for 8 bowls of pozole, perfect for guests or two meals for a four-person family. Stove-top pozole ready for for Las Posadas in about 3 hours. Soak the ancho chiles in water for 30 minutes to one hour, until softened. Remove the seeds and stems from the chiles. Blend in the blender until smooth. Add water or chicken stock to the blend to make blending easier if needed. Season the pork with garlic, salt, and pepper. Brown the pork roast pieces in olive oil. Add onions and remaining spices to the pot and cook until the onions are softened. Add remaining ingredients, except hominy. Bring to a boil. Turn down to low and simmer for 1.5 hours. Add hominy and simmer for 30 minutes. Skim off any fat or oil that rises to the top of the soup while cooking. 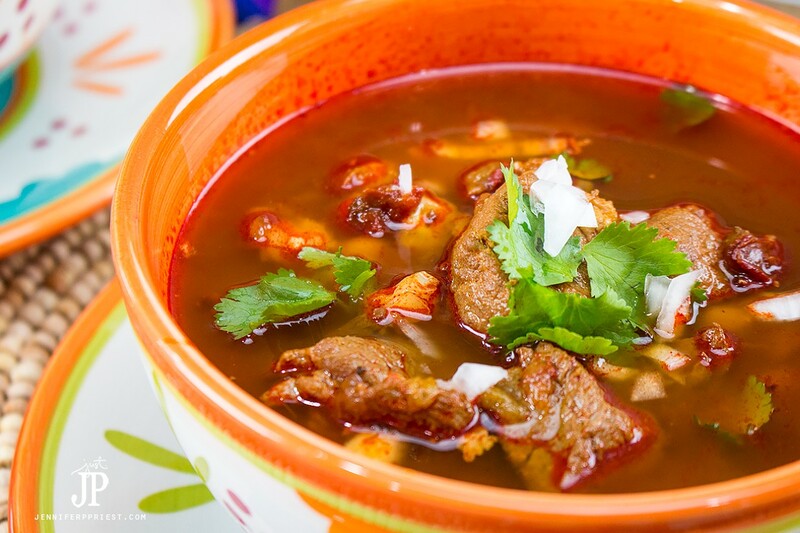 Serve with diced onions, diced cilantro, lemon wedges, and spice mix (or menudo mix). We ladled the pozole into these gorgeous bowls and then added chopped onion, spices, and chopped cilantro from the condiment serving board we got at JCPenney. A little squeeze of lemon topped it all off! How do you celebrate Las Posadas? If you stay in and host guests or you make the journey to visit family and friends, be sure to get prepared for the joys of the holiday season with JCPenney. And let me know in the comments all about how you celebrate Las Posadas! 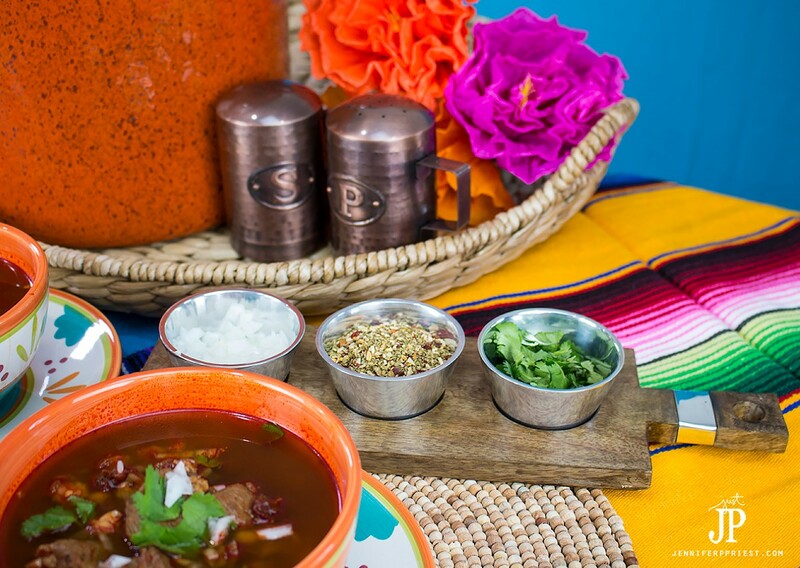 We love pozole! It looks delicious! Thanks for sharing at the What’s for Dinner Link up! 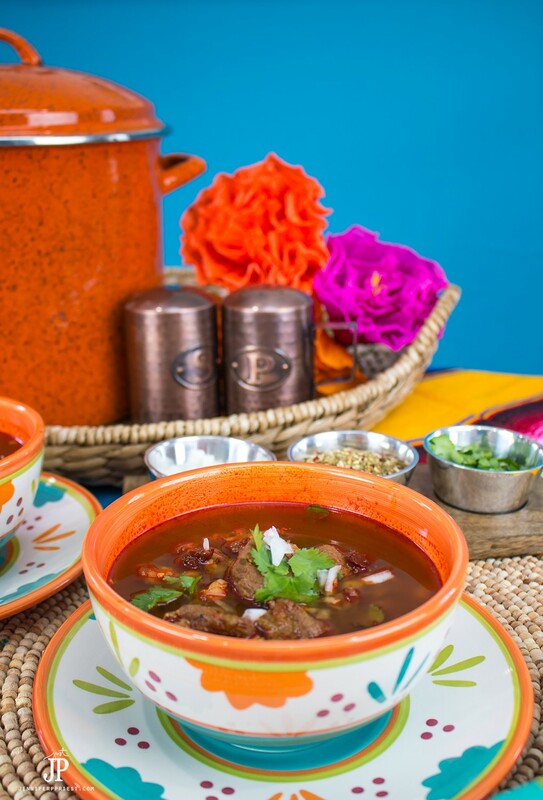 Your Pozole looks delicious, we would love it! 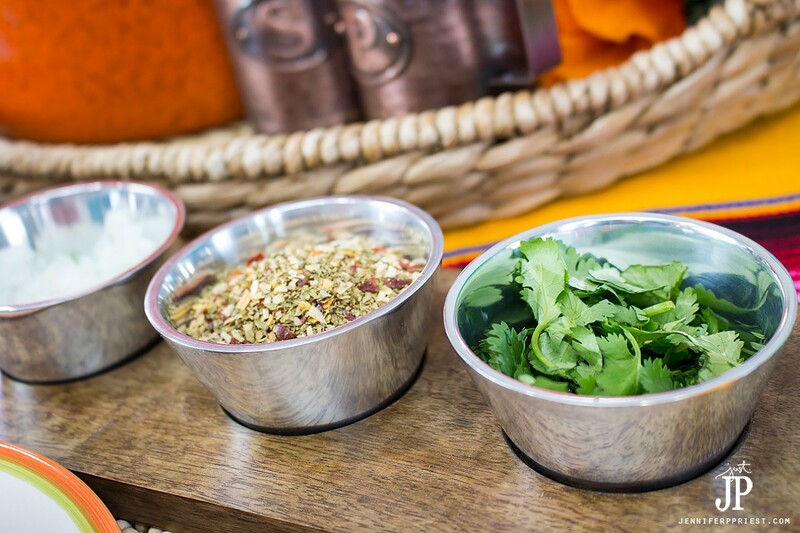 Thanks so much for sharing your awesome recipe with us at Full Plate Thursday! Hope you are having a wonderful week and hope to see you soon! YUM! Hearty and delicious. Thanks for sharing the recipe with SYC. 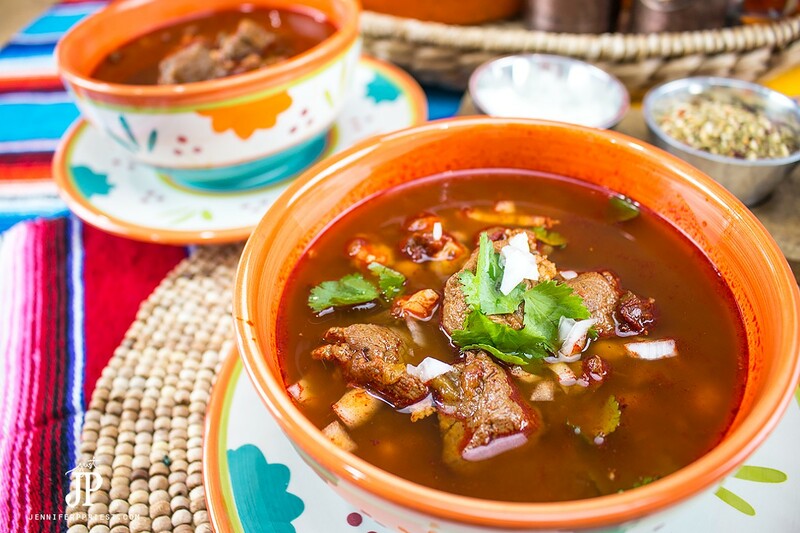 This pozole looks positively amazing! 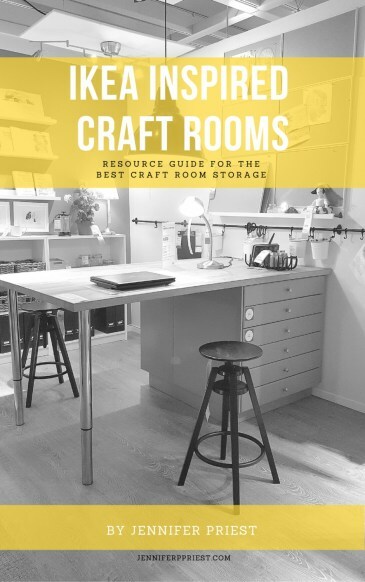 Thanks so much for sharing it at my Creative Ways Link Party! Have a Happy New Year!